What a cracking find, the thrill of finding a game I was not aware of never diminishes! 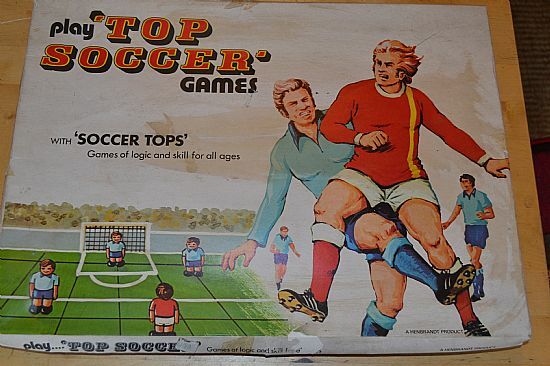 This is a good old 'what else can we sell' idea from the makers of the classic pen top footballers Henbrandt Ltd. Strangely eight a side teams and infuriatingly no rules - do you know how to play this game? 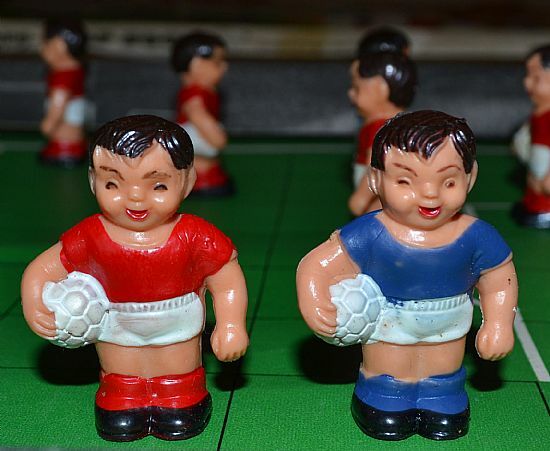 I'd have a guess that it is more like draughts than a football game, but then why the dice? 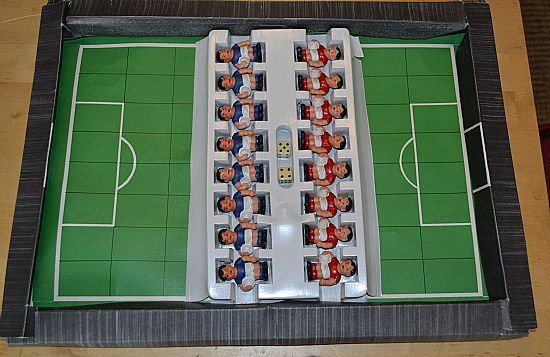 Nicely presented game inside a card box pitch. 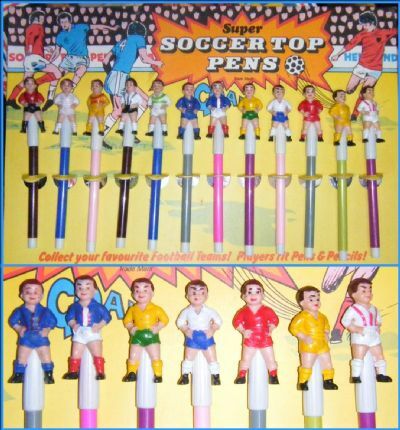 Eight a side teams formed of the classic pen top figures. Simple car pitch and eight players plus two dice - ball marker and rules possibly missing. Do you have them? 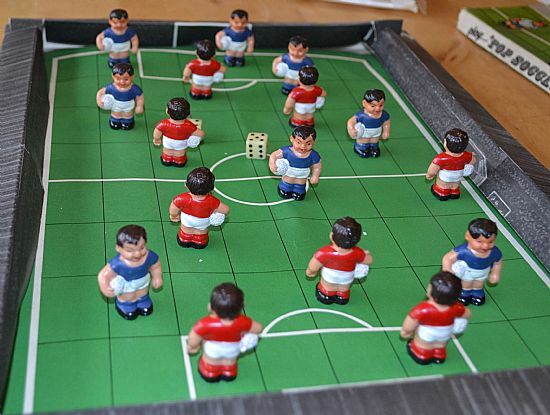 Squares marked on the pitch and plenty of players on a small pitch size. Blue and red pen top figures plus dice. They're having a right old laugh. Possibly made in the far east? 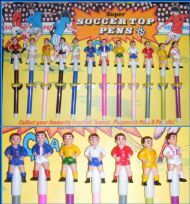 Here is an original soccer pen top shop display card full of exotic kits. My favourite footballing possession, hence the high price!